Full set: 5-piece set includes a large divided plate, bowl, cup, fork and spoon. 100% eco-friendly, BPA-free, FDA approved, sustainable bamboo fiber. Easy to clean: Dishwasher safe and easy to wash by hand. 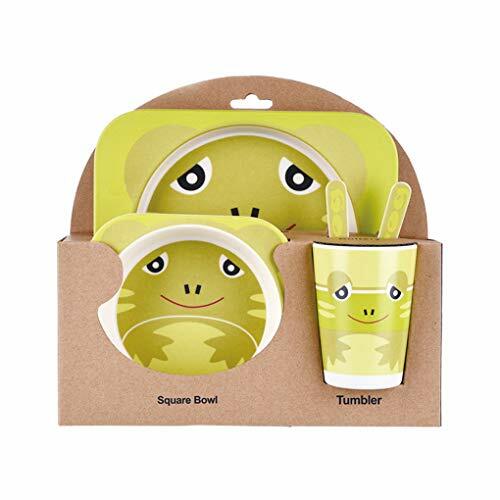 Fun colorful design and ergonomic shape makes this the perfect dish set for little hands. We have absolute confidence in our products. After all, it's what our own kids. 1 * Large divided plate. If you have any questions about this product by Topker, contact us by completing and submitting the form below. If you are looking for a specif part number, please include it with your message.